Episode 23 of Winners on a Wednesday features a young and hungry couple, Chris and Emma. After attending the crash just under a year ago they are already making £2,500 per month. Currently, they have two properties and are looking to grow their portfolio rapidly. Chris’s venture into property began when began searching for his next challenge. Already a highly successful IT consultant the idea of a second income was appealing to him. Having looked at investing on stocks or shares he settled on the idea of property. He came across the property investor Robert Kiyosaki while searching online. This, in turn, led him seeing a Samuel Leeds video. The enthusiasm of Samuel and the nature of the content that he was putting out. This was the push that Chris needed he had found his next challenge. Chris then booked on the crash course in June and brought along one of his friends. The information that he gained from the course was instrumental. He was left surprised by the amount of free information that was presented at the course. Emma met Chris nearly three years ago on a boat. After hearing a motivated Chris divulge all the lessons he had learned at the crash course. 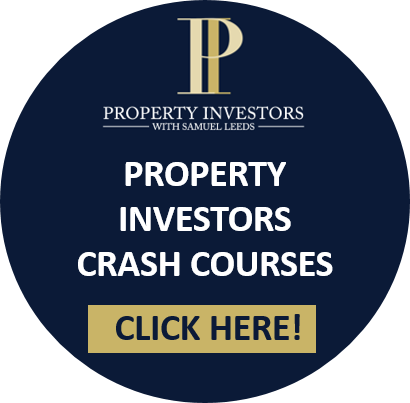 Emma was intrigued but from her understanding investing in any type of property takes a lot of savings and wasn’t aware of the various strategy that doesn’t require a ton of cash. After joining the academy Chris and Emma found a strategy that they felt would work great for them. This was rent to rents and Serviced accommodations. The first property they invested in was located in Liverpool. A two bedroom apartment that draws in an income of £1,500 per month. The second property they in was a serviced accommodation that they invested £2,200 into and aim to make that back within a month. All in all, they are receiving a passive income of £2,500 a month. As the rent to rent serviced accommodation market begins to become over saturated. Chris and Emma make sure that any property that they invest in the correct due diligence is done. A power team is in place with management companies and cleaners. The biggest learning experience that Chris and Emma have stumbled upon is making sure that before any commitment is made to a property that everything is checked out. Asking as many questions as possible and leaning on all the resources that are available to you.